The passcode, set by default on credit card machines since 1990, is easily found with a quick Google searach and has been exposed for so long there's no sense in trying to hide it. It's either 166816 or Z66816, depending on the machine. 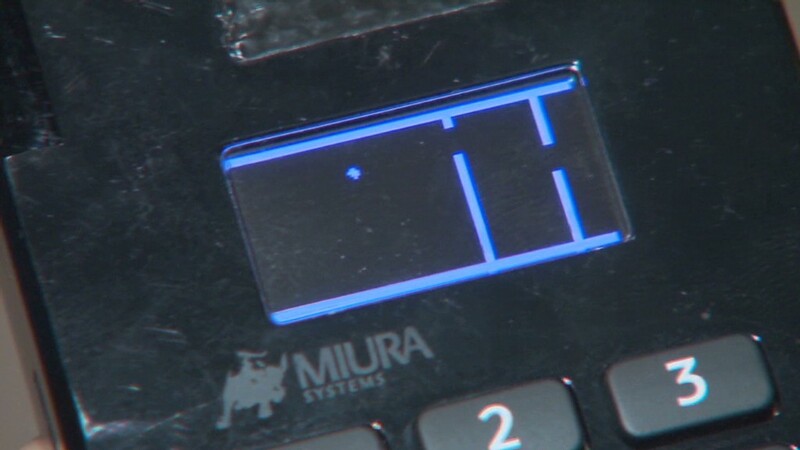 With that, an attacker can gain complete control of a store's credit card readers, potentially allowing them to hack into the machines and steal customers' payment data (think the Target (TGT) and Home Depot (HD) hacks all over again). No wonder big retailers keep losing your credit card data to hackers. Security is a joke. Administrative access can be used to infect machines with malware that steals credit card data, explained Trustwave executive Charles Henderson. He detailed his findings at last week's RSA cybersecurity conference in San Francisco at a presentation called "That Point of Sale is a PoS." The problem stems from a game of hot potato. Device makers sell machines to special distributors. These vendors sell them to retailers. But no one thinks it's their job to update the master code, Henderson told CNNMoney. 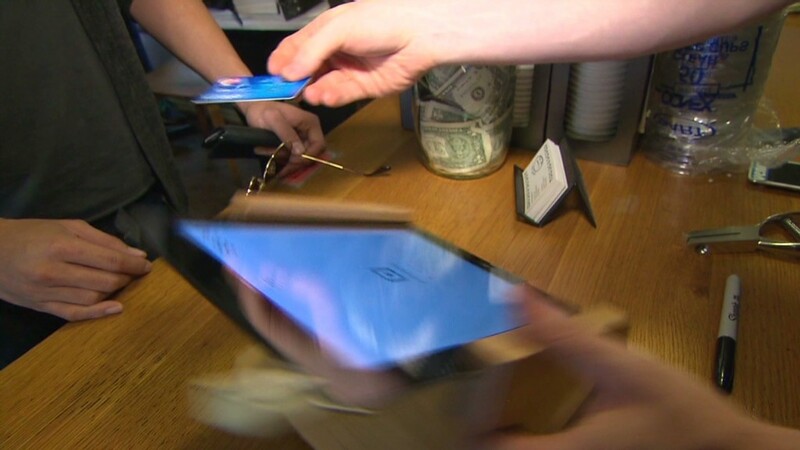 "No one is changing the password when they set this up for the first time; everybody thinks the security of their point-of-sale is someone else's responsibility," Henderson said. "We're making it pretty easy for criminals." 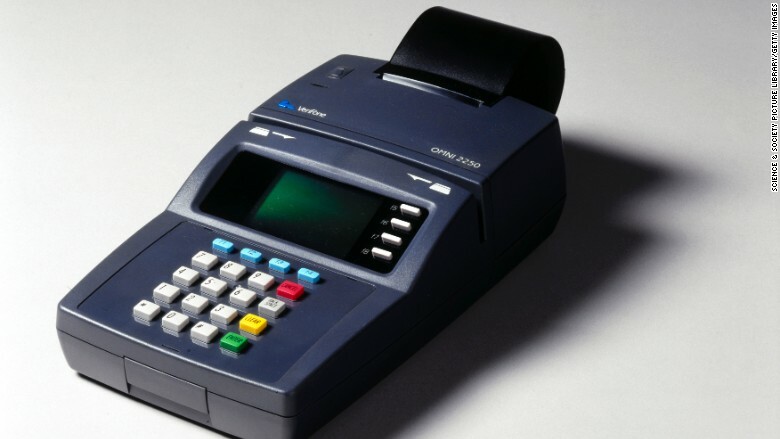 A Verifone card reader from 1999. A spokesman for Verifone said that a password alone isn't enough to infect machines with malware. The company said, until now, it "has not witnessed any attacks on the security of its terminals based on default passwords." Just in case, though, Verifone said retailers are "strongly advised to change the default password." And nowadays, new Verifone devices come with a password that expires. In any case, the fault lies with retailers and their special vendors. It's like home Wi-Fi. If you buy a home Wi-Fi router, it's up to you to change the default passcode. Retailers should be securing their own machines. And machine resellers should be helping them do it. Trustwave, which helps protect retailers from hackers, said that keeping credit card machines safe is low on a store's list of priorities. "Companies spend more money choosing the color of the point-of-sale than securing it," Henderson said. This problem reinforces the conclusion made in a recent Verizon cybersecurity report: that retailers get hacked because they're lazy. The default password thing is a serious issue. Retail computer networks get exposed to computer viruses all the time. Consider one case Henderson investigated recently. A nasty keystroke-logging spy software ended up on the computer a store uses to process credit card transactions. It turns out employees had rigged it to play a pirated version of Guitar Hero, and accidentally downloaded the malware. "It shows you the level of access that a lot of people have to the point-of-sale environment," he said. "Frankly, it's not as locked down as it should be."